White After Labor Day? Yes!! How many times have you been told not to wear white after Labor Day? I’m sure plenty of us have heard that from our mothers and grandmothers, but it’s no longer considered a fashion faux pas. So, yes, you can wear white after Labor Day. Now, some of you may get flak from your mothers and grandmothers, but it’s a risk worth taking. Sometimes old rules are worth breaking. When I was younger, I can remember shopping for my Easter outfit which most times included white shoes. My sisters and I wanted to dress alike so we had to find the right outfit and shoes for all of us. 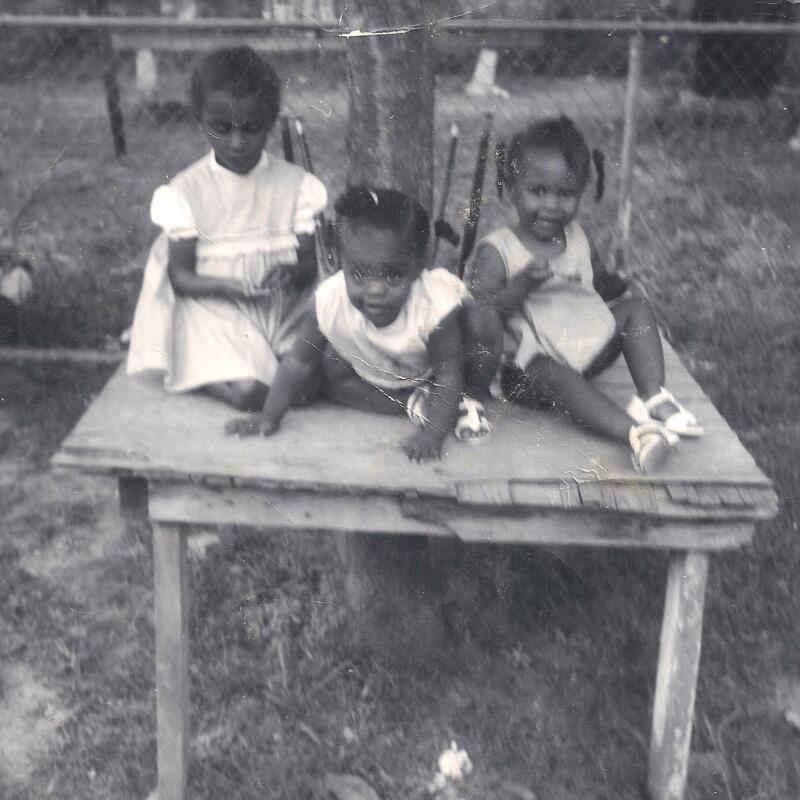 But, even as young girls, we knew that come Labor Day, no more white shoes or white dresses. My Mom would make us put them away until next summer. Maybe we should start with a little history lesson about how this trend started. While no one is completely sure exactly when or why this fashion rule started, our best guess is that it had to do with snobbery in the late 1800’s and early 1900’s. As more and more people became millionaires, it was harder to tell the “old money” which was considered more respectable, from the “new money” which was considered vulgar. In order to tell who was acceptable, the women decided to make fashion rules that everyone had to follow. That way if a woman showed up at the opera in a dress that cost more than most Americans made in a year, but the sleeves were the wrong style, other women would know not to give her the time of day. Not wearing white outside of the summer months was one of those silly rules. White was for weddings and resort wear, not dinner parties in the fall. Labor Day became a federal holiday in 1894 and society adapted it as the official end of summer fashion. Not everyone followed this rule. 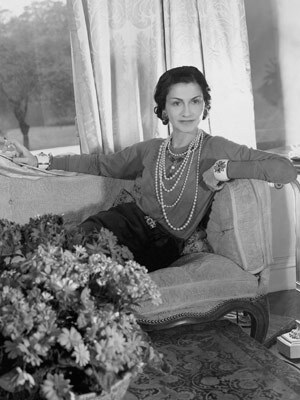 Coco Chanel wore white year-round. CoCo also launched other huge fashion trends that are still popular today such as, wearing female trousers, the women’s business suit, wearing large costume jewelry, and the little black dress. Clearly, her opinion can be trusted. Even though this rule was originally adapted for a few women, it eventually was accepted by everyone else. Women’s magazines made it clear that white clothing came out on Memorial Day and went away on Labor Day. These days the fashion world is much more relaxed about what colors are worn when. The rule is especially ridiculous considering nowadays, all rules are going out the window. Patterns on different patterns, jean on jean, solid colored outfits, and solids on different colored solids, the possibilities are endless! So don’t limit your clothing options this winter. Break out your white pants and white turtle neck shirts. Don’t be afraid to mix summer and winter pieces. 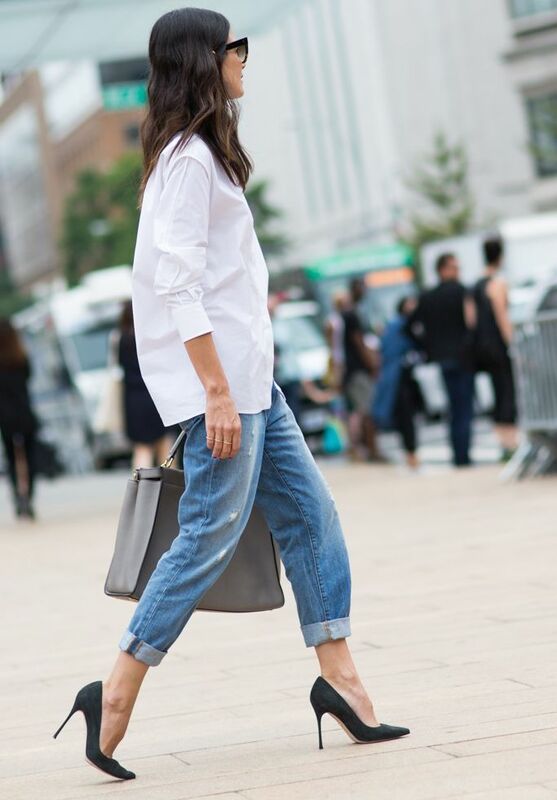 The trick is in how you wear your white clothing and accessories. 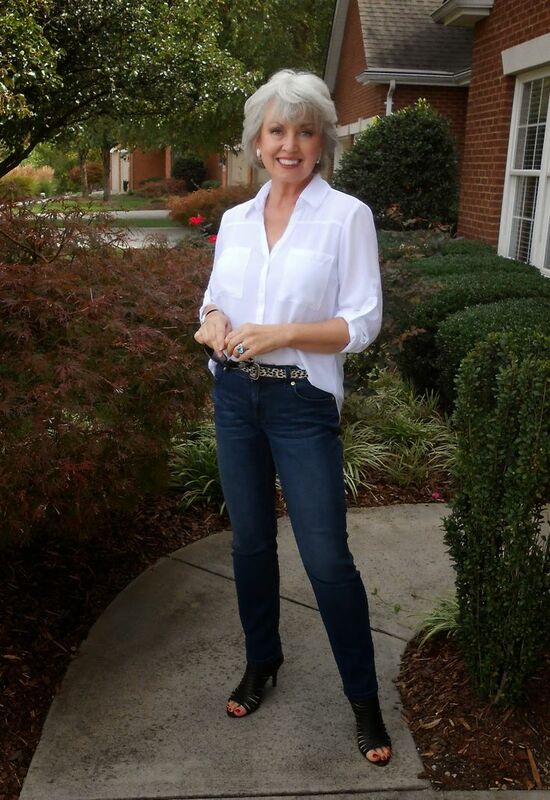 As the weather gets cooler, go for fabrics that are a little heavier in weight and blend white with stronger colors. If you choose to wear all white, wear a winter white, which is a creamier white. Light, inherently summery textiles like white eyelet, linen, canvas, and seersucker will look out of place during fall and winter, so be sure you’re reaching for white wool, denim, cashmere, fur, mohair, flannel, silk, and leather. The combinations are endless. Below are some examples for you to consider. Wear white with your favorite statement-making, bright-colored pieces that will provide you with the perfect foundation with which to steal the show. These strong colors really stand out against the white. For a bold winter look, wear bulky sweaters in white or winter white. Wear white with leopard print. I’m a leopard print girl, so leopard with anything works for me!! 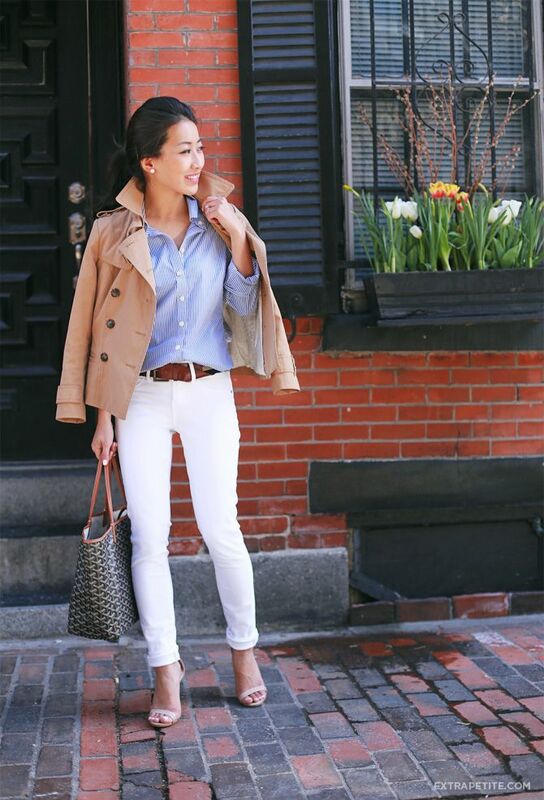 Blue jeans and a white button down are always classic. It can take you to the grocery store, PTA meeting or dinner with a friend. This look is very versatile. Add boots. The boots can be of any color, that go with your outfit. Wear all winter white. Add accessories of another color to tone it down a bit. Pair white with leather. Nothing says fall like leather. These outfits are perfect for late September early October, when the weather is starting cool down. Wear white with faux fur. The faux fur lets everyone know that you ARE aware that the weather has changed, but you are not afraid to rock your white pants. Remember that your style should be consistent with the weather. You may not want to wear white on a day when it is storming outside. 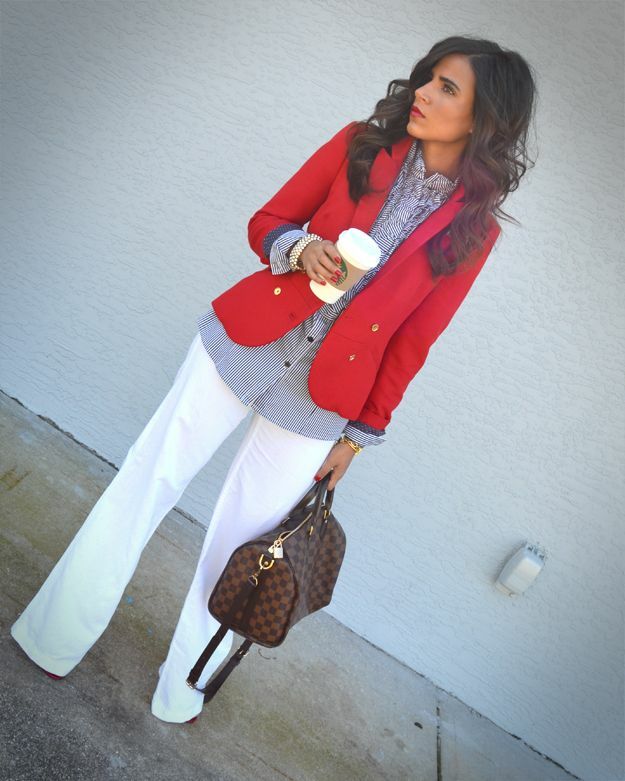 This fall take it as a challenge on how you can include white in your wardrobe.